One of my favorite Instagram accounts is Parisian Floors (shout out to Daina for mentioning this on her blog!) Floors in Paris are amazing. Well, I don't think anybody is surprised by this, but it got me noticing the different materials, designs, and interesting things we simply walk over every single day. While the floors I've found in Memphis are not nearly as elaborate as those in Paris, they are still special in their own way. They're all there for a purpose and lead to some pretty amazing things. If only the floors could talk, I bet they would have some great stories. So, I've been snapping some floor photos when I'm out and about and here's what I've collected so far... some amazing floors and lots of memories. This one was taken in the end zone of the Liberty Bowl after the Memphis Tigers beat Ole Miss. This is the floor of Love Pop Soda Shop. The Peabody has it's own special Walk of Fame. Instead of stars, it's duck feet! You can follow these Tiger paws to the Liberty Bowl! This is a mile marker on the Riverwalk. In my opinion, some of the best views of Memphis can be seen on the Riverwalk. Marciel's is a new taco joint in town (that is amazing). I love that they kept this floor in their entryway. You can see all the change Memphis has gone through over the years. It's only getting better. We don't get many color changing trees or fall leaves Downtown, so I had to take a picture of the leaves on the ground! It's not much, but this is fall in Memphis. 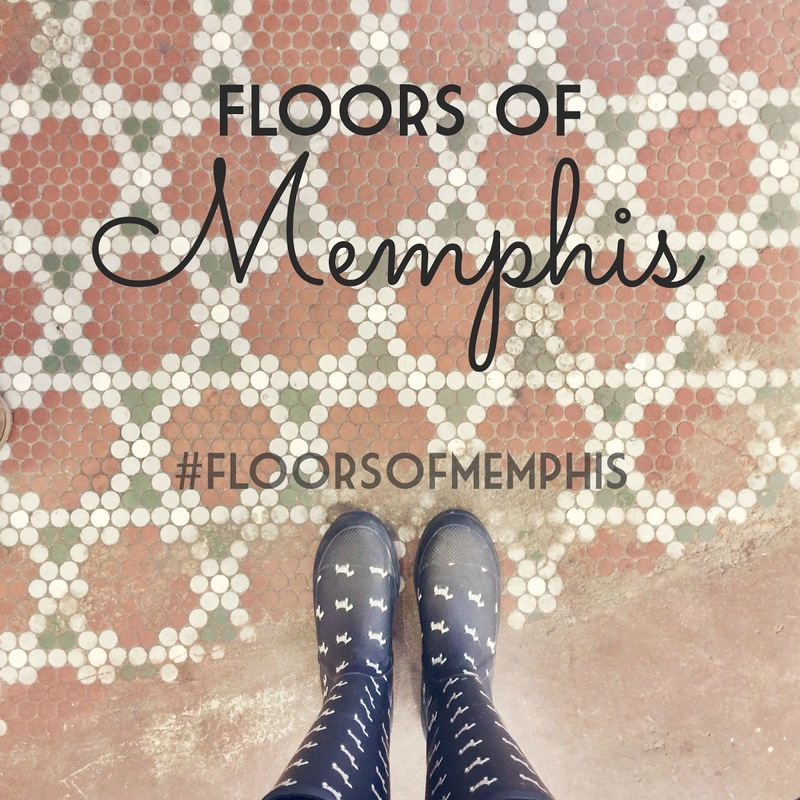 I'll be posting them on Instagram as I go with the hashtag #floorsofmemphis. I hope you follow along! I love noticing all the different patterns and textures that usually go unnoticed.